On November 5, Brad will tell the Ben & Jerry’s story at Common Good Books in St. Paul, Minnesota. Eric Utne, founding editor and publisher of The Utne Reader, will introduce him and participate in the discussion. The event begins at 7pm, is free and open to the public, and will be followed by an ice cream social. Eric probably won’t put on a Ben & Jerry’s t-shirt and a fake beard and impersonate Ben Cohen at the book talk, but he did do that once. He did it with his friend Tom Silverman, the founder of Tommy Boy Records, who pretended to be Jerry Greenfield. They did the skit about fifteen years ago at a meeting of the Social Venture Network, before a crowd of mission-driven entrepreneurs. They talked about whether it was possible for a business to get big without selling out. The skit didn’t answer the question of whether or not to sell. “The day after the skit, I got a call from Working Assets,” says Eric. “They offered to buy The Utne Reader.” Tom Silverman did eventually buy Tommy Boy back, for three times as much as he’d sold it for. The Utne Reader was sold to Ogden Communications in 2006. And we’re still trying to answer the question — but today, we know a lot more than we did back then. 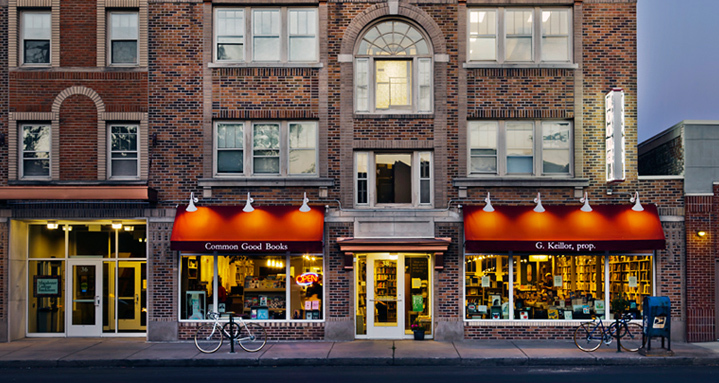 Common Good Books (651-225-8989) is located at 38 South Snelling Ave in St. Paul. Free ice cream will be scooped after the talk by Scott Eller, owner of the Ben & Jerry’s shop in Calhoun Commons, MN. The event is co-sponsored by Heartland Circle, the convening company, and On The Commons, an online community devoted to collaborative ways of working. Thanks to Eric; Scott; Craig and Patricia Neal of Heartland; and Julie Ristau and Jay Walljasper of On The Commons, for their support.